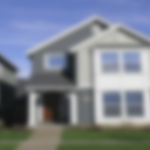 Common disputes with neighbors involve trees, fences / boundaries, noise, secondhand smoke, water damage, and abandoned vehicles, and the laws for such disputes vary from state to state. Trees – in most every state, a person who deliberately harms a tree is liable to the owner for actual monetary loss. The law in all 50 states is that the tree belongs to the person whose property the trunk of the tree is located on. If the tree trunk is partially on two properties, then that tree has two owners. Disputes over who owns any fruit from a tree is another common dispute between neighbors, and each state has different laws regarding this. If you have a dispute with your neighbor regarding a tree that is too tall or a tree branch that obstructs your view, it’s best to discuss with a lawyer to be sure you are indeed within local tree ordinance. If someone cuts down, removes, or hurts a tree without permission, that individual owes any monetary losses to the tree’s owner. Liability for damages to your neighbor’s property due to the roots of a tree that is technically on your property varies depending on what state you live in. In some states, if the tree does substantial damage to a neighbor’s property or seriously interferes with their ability to use and enjoy their property, you may be liable. Fences / Boundaries – to find out the exact boundaries of your property, you would need to pay a land surveyor to conduct a boundary survey. If you believe that your neighbor has starting using and / or building on what you believe to be your property, you will need the documentation from the boundary survey in order to take legal action. If it is a property that you have a mortgage on, it is best to consult a lawyer for legal help in drawing up the deeds to make boundary agreements. Noise – excessive, unnecessary, and unreasonable noise (whether it’s caused by pets, people, or machines) is prohibited in most every community, and if warning your neighbor does not mitigate the issue, it is best to consult with an experienced attorney. The police may be able to assist you, although will not always take action unless the noise affects two or more people. If it becomes necessary, you have the option to sue your neighbor for “nuisance” due to noise in small claims court. Secondhand Smoke – some states, such as Utah, include tobacco smoke as part of the definition of a private nuisance, if it interferes with a neighbor’s ability to use and enjoy their property. Some states, such as California, consider secondhand smoke to be a toxic contaminant. If you are having an issue with secondhand smoke from a neighbor you should first find out if the rental agreement or homeowner’s association agreement contains a non-smoking clause. Even if there isn’t a non-smoke clause, you very well still may have a legal case. If you have reported your complaint to your landlord and are still having issues with secondhand smoke from a neighbor, you should seek the counsel of an experienced landlord-tenant lawyer. Water Damage – disputes between neighbors often involve water that causes property damage. Usually, if the harm to your land is due to natural conditions of the land then your neighbor is not liable. In most states, when one neighbor changes the land and results in damage or harm to another person’s land, they can be held liable for that damage if the change can be considered “unreasonable.” To determine whether the change to the land was unreasonable, it is best to consult an experienced attorney. Abandoned Vehicles – not only is an abandoned vehicle (car, truck, motorcycle, RV) unsightly to neighbors, but it is usually a violation of the law. To find out the local laws regarding where vehicles are allowed to be parked you should check the local rules. Although 72 hours is the standard length of time that a disabled vehicle is permitted to stay parked, these laws vary by city and county ordinances. State landlord-tenant laws do not require written notice regarding abandoned property for motor vehicles left by tenants, so usually the local police are involved. Contact LegalHelpLawyers.com today for legal aid in dealing with a dispute with a neighbor.